How can I say it any better than that? 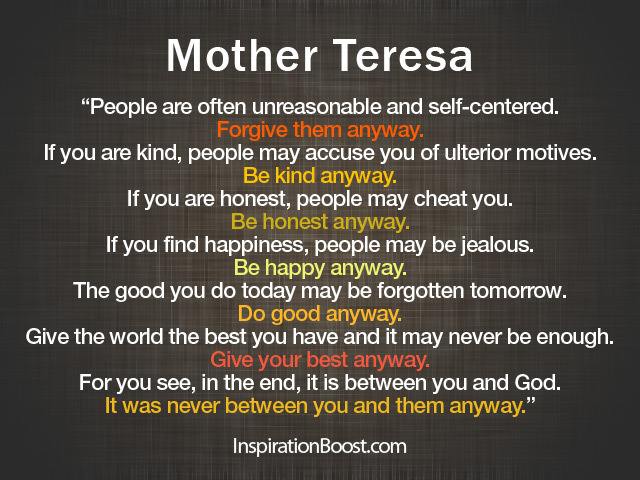 If we would all live these words the world would be a much happier place. May we all have the courage to do it “anyway”. Are you waiting for that next big thing? You already have it – so feel into it now! As you get into vibration with what it is you desire, you’ll not miss out on the here and NOW! 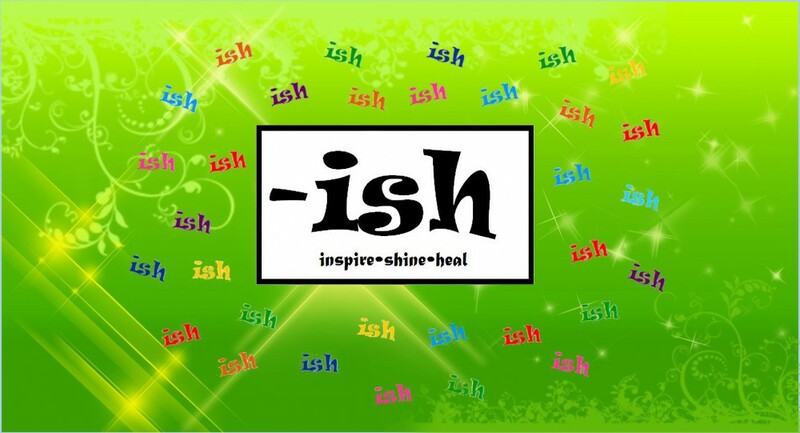 We here at ish are excited about FILMish and ish 2.0, which will be a major revamp of this site, which has been promised all spring. But despite our work towards that new future, there’s still more to share along the way before this format migrates to the upcoming ish Facebook page, and this site holds more substantial material to share with our community. The ancient Greeks may’ve lived by the maxim, “Carpe Diem” (Seize the Day), but I encourage you to Seize the Moment (“Carpe Temporis Punctum”)! 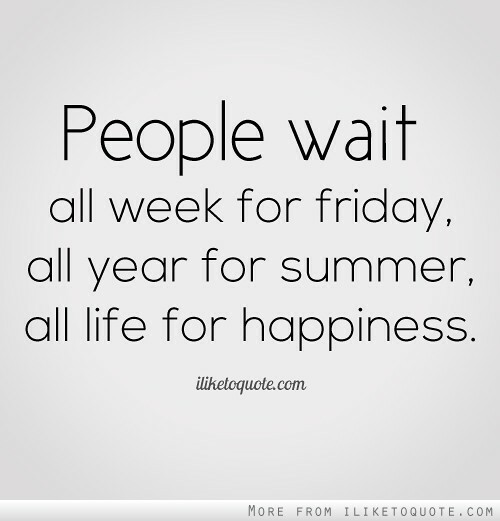 So Happy-Friday-Summer everyone! It’s up to you to claim what’s good, HERE and NOW! !